This week we have had a tremendous book week. The children have taken part in drama workshops and seen a West End musical production in the school hall. Reception and nursery had a special story teller in which they really enjoyed. They have also done lots of work in class and designed a picture book for Mrs Dummer's baby! 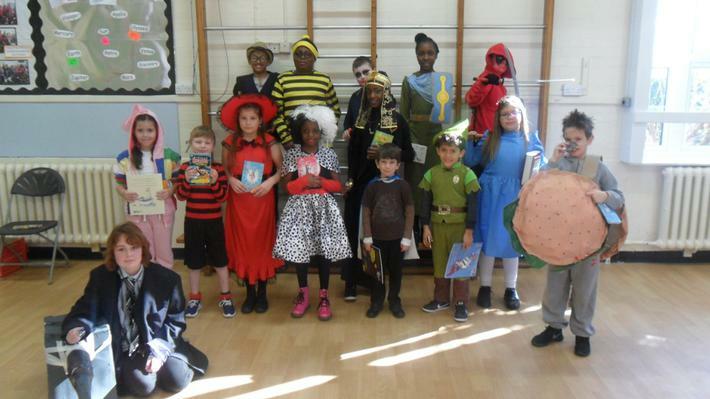 The week ended with our traditional dress up as book character assembly. The turnout was fantastic and we had an amazing array of books and genres covered. Another superb themed week at Athelney, well done everyone!